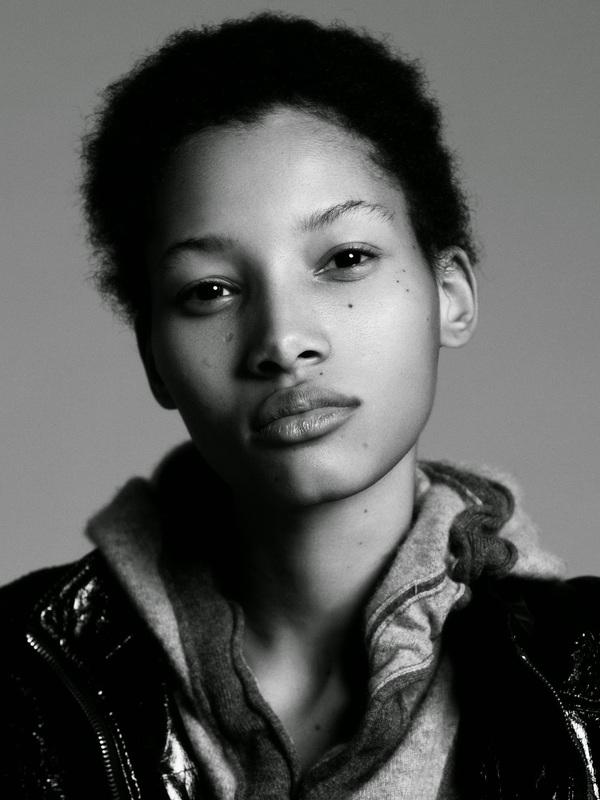 The Fall/Winter 2015 runways were punctuated by a stunning array of diverse modelling talent and no newcomer made more of an impact than eighteen year old Lineisy Montero. The statuesque 179 cm Dominican beauty made her Fall/Winter 2015 debut as an exclusive at Prada followed by a pristine appearances at Loewe, Balenciaga, Céline, Givenchy, Stella McCartney, Louis Vuitton, and Miu Miu. Aside from Monterio's immaculate caramel complexion, almond-shaped eyes, high-sculpted cheekbones, and pillowy pout, it has been her super chic short natural Afro hairstyle which has garnered the attention of showgoers, and publications including Vogue, i-D, and style.com. Discovered via the Ossygeno Models Competition, Montero was encouraged by the agency's president Sandro Guzman to forego her standard brushed back ponytailed hair in favour of a short Afro do. The fashion industry's response to Montero's natural beauty has been nothing short of spectacular with the ingenue blazing an impeccable trail on the runways with the most blue chip sheen.